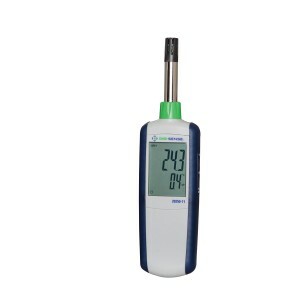 Thermohygrometers deliver accurate temperature, humidity, and dew point readings for a range of applications and environments. Meters are essential for spot checks and inspections. Compact, lightweight design for accurate dew point, temperature and absolute humidity measurement anywhere. This hygrometer has no T/C input and superheat function. 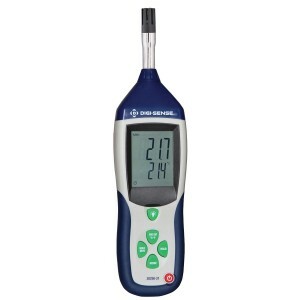 Professional hygrometer with no T/C input and superheat function +/-2% from 40 to 60%RH, +/- 3% from 20 to 40% and 60 to 80% RH. Compact, lightweight design for accurate dew point, temperature and humidity measurement anywhere.